Now that Sofie’s in school, I’m starting to get into the idea of her dressing up for holidays and seasons. In years past, we mostly hung around at home unless we were grocery shopping or visiting with family, so just 1 holiday outfit was enough. But this year I really wanted to start building her wardrobe with special handmade things. I found this fabric at Hancock Fabrics a month or so ago and knew I had to have it. 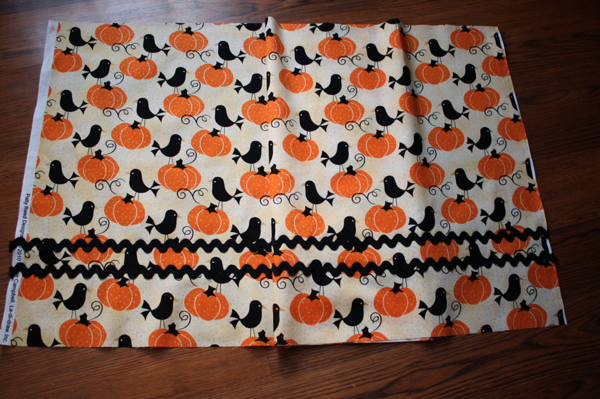 I’m not into most Fall/Halloween fabrics because I 1) don’t like orange 2) don’t care much for pumpkins 3) hate cold weather and usually protest the end of summer in any way possible! It took me 30 minutes, start to finish, to whip up this precious little addition to her closet. And it’s long enough she’ll be able to wear it again next year! I typically don’t embellish my projects much, I’m very much a minimalist, so I like to choose loud fabrics that speak for themselves. I thought the rick rack was the perfect finishing touch, though! 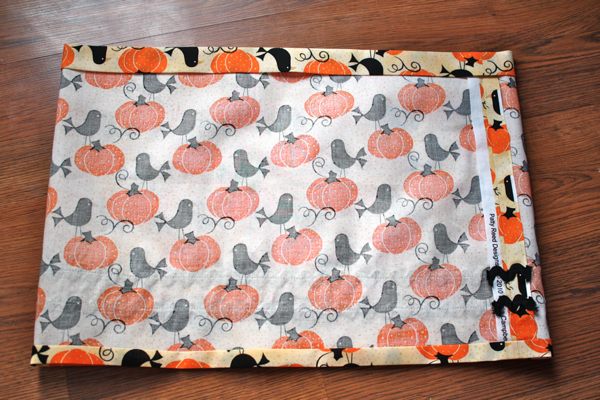 I used 1/2 yard of fabric, 1 pack of black jumbo rick rack, and 1″ wide elastic. 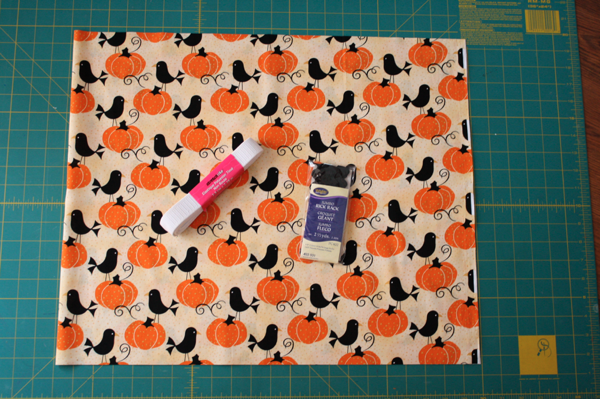 First, I squared off my fabric using a rotary cutter and ruler. I left the selvages so I could use them to my advantage and not have raw edges to finish inside the skirt. 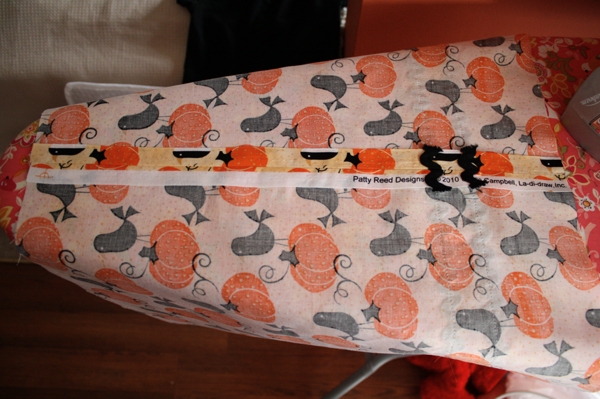 Then I figured out where I wanted to sew on the rick rack and marked it with a fabric-marking pen. I knew I was going to use 1″ for my bottom hem, and I wanted it to be about 2.5″ from the bottom of the skirt, so I measured up 3.5″ inches and drew my first line from selvage to selvage. Then I measured 1.5″ above that and marked the second line. I sewed the bottom row of rick rack on first, not for any logical reason, just because. 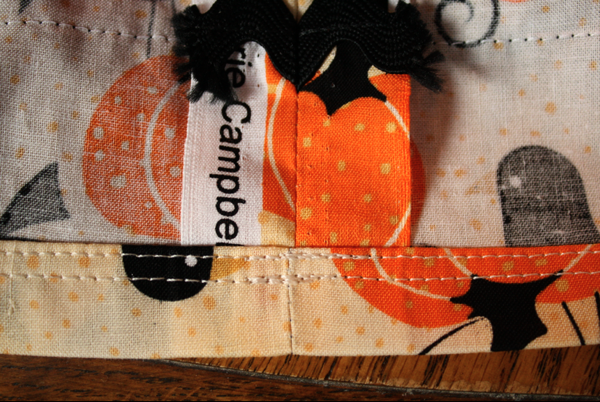 I centered it on the line and stitched a straight line down the middle. 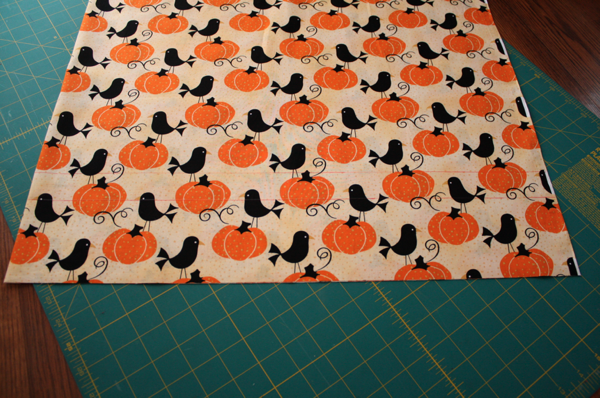 Then I sewed on the top row. I did this one slowly, making sure I was not only centered on my line, but visually straight compared to the first row as well. The rest is really basic skirt construction. 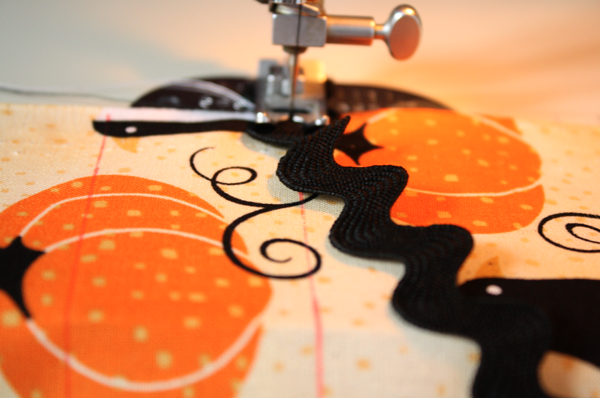 Sew the back seam together and press open. 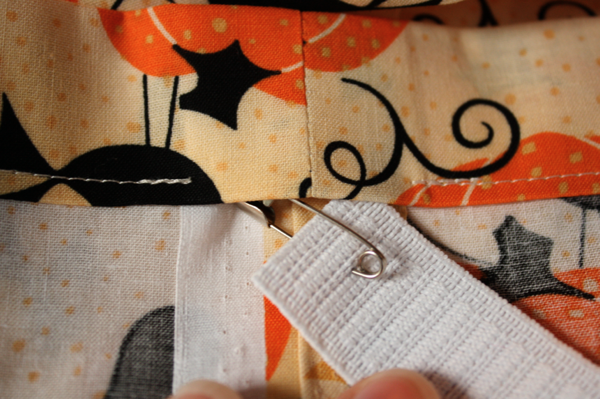 Iron your hem and casing for the elastic waist. For my hem I folded up .5″ and ironed, then folded it over another .5″ and ironed. The casing was 1.25″ and iron, then another 1.25″. I did a double seam around my hem because I like the way it looks. Then threaded my elastic into the waist and finished it off. Lastly, I carefully took a lighter to the ends of the rick rack to seal them off and prevent fraying. Easy peasy, right? And totally adorable! I’m a little more excited about the fall weather now! 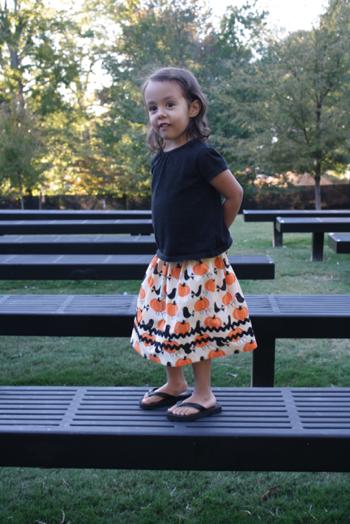 Adorable skirt, and super adorable little girl! 🙂 I’m not much into seasonal fabrics either, but I really like this one. Thanks so much for this idea, my daughter is 2 and loves to wear skirts, plus this will make it very nice for potty training. 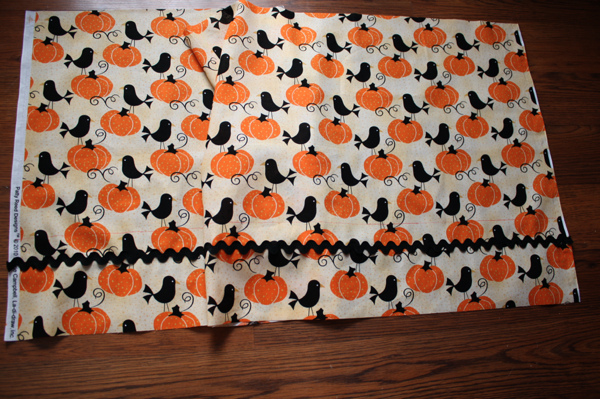 I have a bunch of seasonal fabrics and can’t wait to start making some skirts for each season now!!!! This is precious! 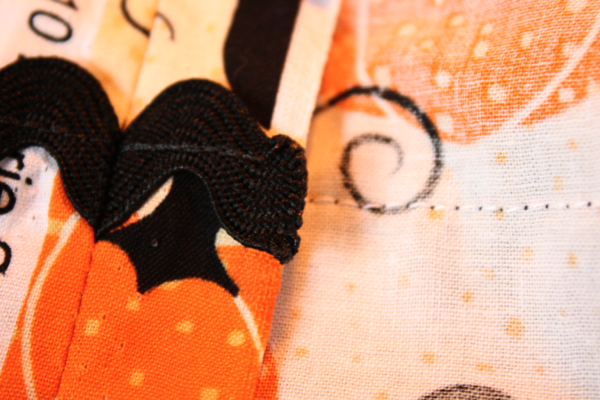 I love the softer colors in the fabric! Beautiful job! 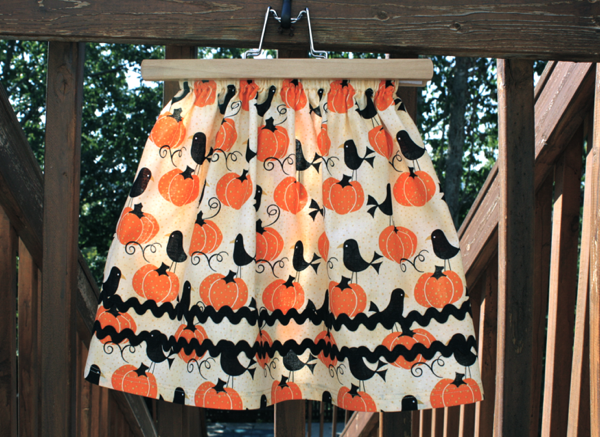 Absolutely adorable skirt. Kudo’s on making a modest outfit for your little girl. So cute! I adore your site! Going to make a few of your projects. 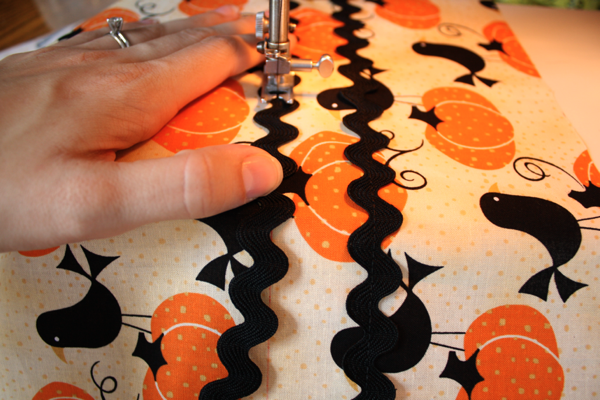 Where do you buy most of your cute fabrics? Is this for a 2t? Thanks! I LOVE your site! Thank you! She was more of a 3T length, but a 2T waist. She’s always been scrawny. 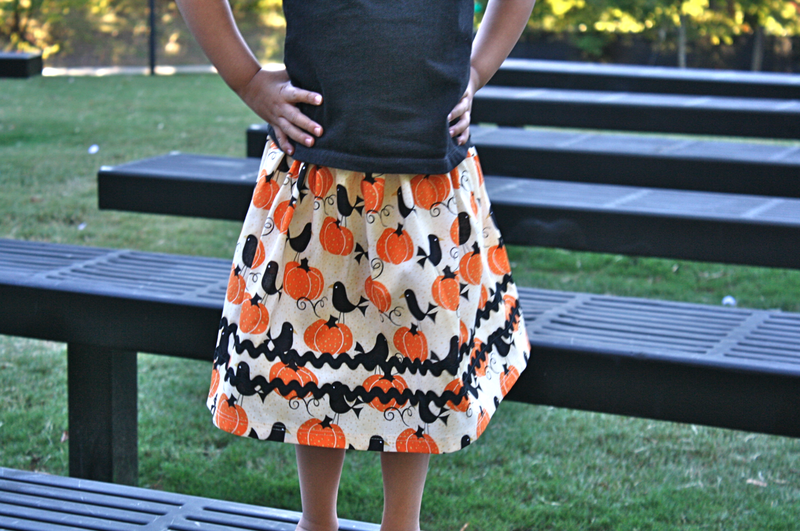 We love pirates round our house but I have 2 girls so I made this skirt with a pirate map print and we love it! I’m so excited, it’s only the third thing I’ve made.